Next Tuesday (25/12/2018) is Christmas. Let us share the joy of Christmas with our domestic helpers who have left their homes, come to Hong Kong to serve us and our families. I asked the domestic helpers a question: If your employer wants to give you a Christmas gift, what do you want to receive? ~ You can consider giving a red pocket to your domestic helper as a Christmas gift, so that they can buy Christmas gifts for their children and family / celebrate Christmas with their friends and enjoy the holidays. The amount of money to be given depends on the employer's preference, or the performance of the domestic helper. ~Most helpers, no matter what their religious background are, want to have holiday on Christmas day, so they can enjoy the holidays with friends in Hong Kong. (According to <<Labour Law>>, employers are required to give a foreign domestic helper a holiday on Christmas.) They are unhappy to spend the holiday alone. ~ If your helper is a Filipino, Christmas is a big holiday in the Philippines. Many Filipino helpers hope to return to the Philippines and celebrate Christmas with their families. If you are unable to arrange it, please try your best to arrange for them to have a holiday on Christmas Day, so they can go to the church (most Filipinos are Catholics and Christians). According to the <<labour Law>>, the helpers working in Hong Kong for less than 3 months can also enjoy statutory holidays (but without pay). In other words, employers can deduct their helpers’ current salary when they go out for the public holiday. In spite of this, I recommend all the employers to be generous to your helpers. Even if they worked for less than 3 months, let them enjoy the salary of Christmas Day. This directly shows your kindness and love to the helpers, which in turn will make their hearts be more willing to stay in your family. ~ If your new helper is a Filipino, please observe if she has any signs of homesickness - such as: easy to cry, shows black faces, working performance declines. If yes, you or your spouse (depending on who manages her) should find a time to talk to her, listen patiently, let her express the feeling of homesick and encourage her. On Christmas Day, give her a long time to use her mobile phone. If you don't want to share your WIFI password with your helper, you may consider lending your computer or laptop so that she can use SKYPE to chat with her family at Christmas to reduce her homesickness. Homesickness is one common reason for new helper to resign. Most helpers are women, after 6 days’ work, most of the helpers would like to dress up nice to enjoy the holiday. Besides. most of them never experience winter in their own countries, so they may not have enough winter clothes to keep warm. Beautiful clothes can make most ladies happy. Winter clothes help them to feel employer’s love and care directly. ~ Not only Christmas, most helpers express their hunger to feel respected. Employers, the family members and the helper should respect each other all the times. Please do not easily get angry, never shout loudly them, give them enough food and rest, and give salary on time. Almost all the helpers say that they are happy to work for a reasonable employer who respect them, give them dignity at work. No matter your domestic helper is from the Philippines, Indonesia, Thailand, Sri Lanka, or other countries, please thank her/him for leaving her/his home and serving your family. Let her/him know that you appreciate her/his sacrifice. As an employer, your warm and encouraging words can give your helper(s) job satisfaction, ease the sense of loneliness during the holidays, and decrease their desire to quit. Christmas is coming, I wish you and your domestic helper a Merry Christmas! “在照顧孩子方面, 有些方法可能沒有絕對的對錯。以前我照顧孩子的方法, 家人不同意, 說我做得不對。但聽老師的教導後, 我發覺原來自己以前堅持一些照顧孩子的方法, 原來也是對的。(雖然方法)與家人不同, 不代表一定是我(或家人)的方法錯。原來照顧孩子, 可以有多個一個方法。"
“我最深刻的是不要把自己的孩子和其他孩子比較, 每個孩子都是獨特的。我生第一個孩子時, 由於沒有照顧孩子經驗, 身邊很多人有很多意見, 說: 是否應該這樣那樣..., 為我製造很多煩惱。 到第二個孩子出世, 當其他人嘗試比較兩個孩子時, 我就立即制止他們, 說一定不可以拿孩子們來比較。(原來自己所堅持的, 是對)"
“以前不明白為何有些兒童不停說話、 有些不喜歡說話、有些性情古怪。現在聽完(老師的教導), 就明白可能在他們零至0-3歲時, 有很多東西沒有人教(照顧者沒有教導/ 給予適當的外在刺激), 所以學不到(影響性格的塑造)。原來在孩子0-6歲時, 有很多東西都要教他們。"
If the Hong Kong Observatory forecast that the typhoon signal no. 8 might be hoisted on the foreign domestic helpers’ coming holiday, what should employers and helpers do? If an employer wants to give a helper holiday as usual, the employer should advise the helper to have holiday and rest at home for safety reason. In case the helper insists to have holiday outside and the typhoon no. 8 signal is hoisted, the helper may be in trouble to return home. If the helper decides to rest at home, employer should consider whether free food will be provided. If NOT, employer should arrange time to let the helper go out to buy food as early as possible, when the weather is not too bad. When the weather is bad, employers should not ask their helpers to do unnecessary outdoor work. If the employers really need the helpers to work outdoor, please provide sufficient protective equipment for the helper’s safety. If the helper was wounded during the above outdoor work, it is work injury. Employers should discuss with the helpers, if the helpers agree, employers can rearrange another day for holiday, to replace the original holiday. The replacement should be arranged within 30 days of the original holiday. I strongly advise all employers and helpers to discuss the arrangement of holidays BEFORE the typhoon no. 8 is hoisted so as to prevent future argument. If you are a helper, DON’T BE SHY to discuss with your employer. According to the Employment Ordinance, all employees are entitled to the above statutory holidays. Therefore, 18 June 2018, Monday(Tuen Ng"Dragon Boat" Festival) and 1 July 2018, Monday(Hong Kong Special Administrative Region Establishment Day) are also the statutory holidays of the foreign domestic helpers. 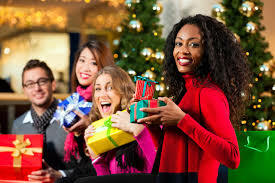 Helpers who are working less than three months are also entitled to statutory holiday (without pay-- that means employers should let their helpers enjoy the two holidays and deduct their 2 days salary). If the helper have been employed continuously for three months, she is entitled to have the holiday with pay. within 60 days before or after the holiday, arrange an alternative holiday for the helpers. Q: If helper(s) agree, can employers give an additional statutory holiday pay in lieu of granting him / her a replacement of an alternative holiday? A: NO. An employer who violates the above requirements may be prosecuted. Upon conviction, the employer is liable to a fine of HK $ 50,000. Several foreign domestic helpers ask me about the first aid of children's nosebleeds, so I would like to share this topic with all children's caregivers(I wrote it in Chinese before “育兒知識- 幼兒流鼻血急救方法、常見原因及日常護理 27/3/2018”). Remember to share it with you foreign domestic helper(s) if you are employers. New parents may feel worried and panic to see their children suffering from nosebleeds. Bleeding from the nose are common for children. In most conditions, it is not a sign of any underlying problem, can be stopped easily in few minutes. 1 The caregiver should keep calm. 2 Let the child sit upright, keeping the head higher than the level of the heart. Do not lay flat or put the head between the legs. 3 Ask the child to lean forward slightly with the head tilted forward. 4 Teach the child to breathe with his mouth, use the thumb and index finger all the soft parts of the nostrils below the bridge of the nose with pressure for at least 10 minutes.Repeat as necessary until the nose has stopped bleeding. 5 Apply ice pack/ cold compress (wrapped in a towel) on the forehead or the back of the neck. 6 Teach the child not to blow the nose/put anything into it. If the child has to sneeze, teach him/her to open the mouth so that the air will escape out the mouth and not through the nose. If the bleeding eventually stops, no need to seek medical advice. The parents should consider to bring the child to see a doctor/ the hospital's Accident & Emergency Department only if the nosebleed won't stop. You must report to the employer whenever the child has nosebleeds if you are a domestic helper. 3. Blood-related diseases, such as abnormalities in the quantity or quality of platelets, abnormal coagulation mechanisms, etc. When a child experiences nosebleeds frequently or regularly, parents should consider to bring hime/her to seek medical care. If necessary, they may refer the child to an ear, nose and throat (ENT) specialist for further tests and assessment. 1 teach the child not to pick the nose, blow the nose gently, as little as possible. 2 keep the child’s fingernails short, teach the children to keep their noses clean and develop good hygienic habits. 3 make sure the child has enough water intake throughout the day. 4 when the humidity is low/temperature is dry, regularly apply petroleum jelly (such as Vaseline) to the inside of the child’s nostrils to keep the inside of the nose moist. 6 let the child wear a head guard during activities in which his/her nose or head could get injured. Next time, when a child has nosebleeds, we know how to handle it. May this article bless all the caregivers and the children.